Construction has finished on this 3 bed 2.5 bath home on a 544m2 lot in the beautiful Brisbane suburb of Norman Park. 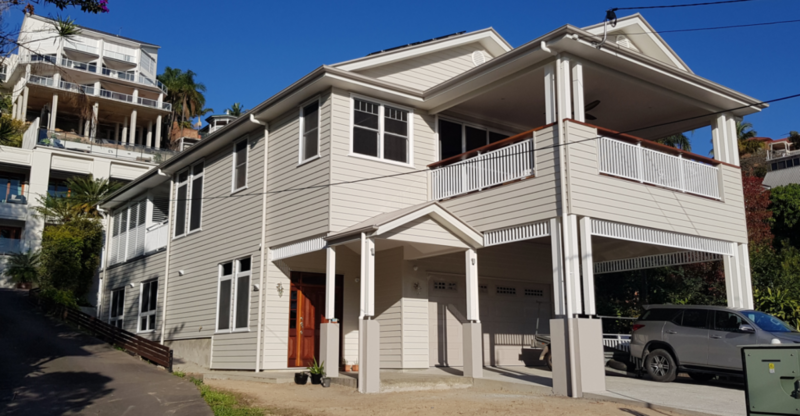 The project involved the removal of the existing single storey residence and construction of a new two storey residence perched just 50m from the Brisbane River. Morgan Consulting Engineers became involved in this project in August 2017 to provide residential soil testing services and design of a cost effective footing and slab system. Shallow local underground services and deep filling across a portion of the site posed a significant problem for the project timeframes and budgets. Working closely with the builder and the clients during the design and construction allowed us to use a combination of shallow concrete piers and deeper screw pile foundations to keep the project moving. The slab-on-ground was constructed using a ‘waffle raft’ style slab to reduce the cost of footing excavation and reduce the volume of concrete used. The two-storey timber framed residence was constructed on top of the slab with Morgan Consulting Engineers involved in site works throughout the project.